The Klipsch All-Weather loudspeaker line delivers clear, dynamic performances while providing more sound per watt than comparably sized speakers, allowing for better sound coverage in a smaller package. The included heavy gauge C bracket can be installed in almost any configuration giving you plenty of flexibility when it comes to mounting it to an exterior wall. 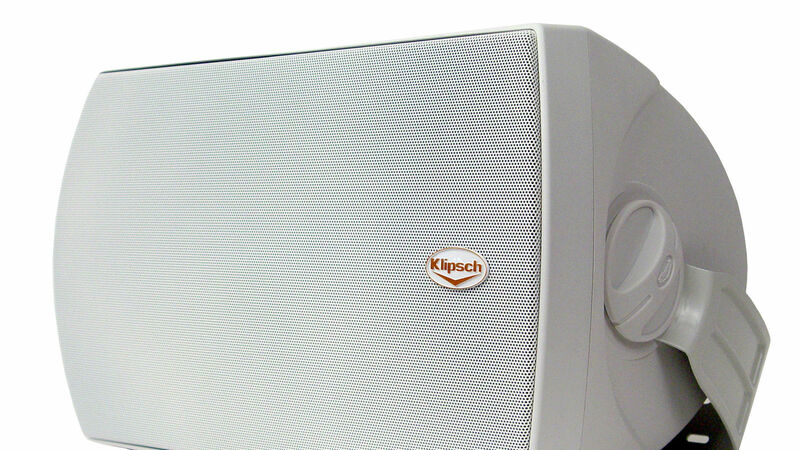 Klipsch all-weather speakers are also paintable, so they can match any exterior paint color. Paint them to match the eaves and watch them disappear. 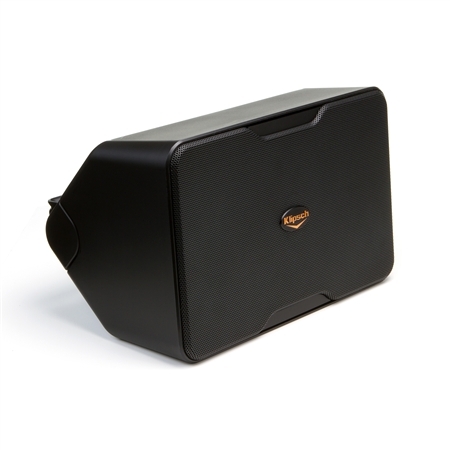 Klipsch all-weather outdoor speakers use the same Triactrix horn tweeter as Klipsch indoor products. When combined with dual front firing ports for better bass response, you’ll get unparalleled performance that you’d never expect from an outdoor speaker. They’re higher sensitivity and power handling also means you won’t need to crank up your amp to get great sound all over your backyard. This isn’t a speaker you need to bring inside when it rains. Klipsch outdoor speakers are designed to handle whatever weather nature decides to throw at it and keep going. These speakers will still be going strong after years of sun, rain and snow have hit them. After all that they’ll still provide the great Klipsch sound you expect.